The Average Starting Position of the race winner at Indianapolis Motor Speedway over the last 8 races run here is 7th. What percent of ALL NASCAR RACES at Indianapolis Motor Speedway have been won from a starting position of 5th PLACE OR BETTER? What percent of ALL NASCAR RACES at Indianapolis Motor Speedway have been won from a starting position of 15th PLACE OR BETTER? What percent of ALL NASCAR RACES at Indianapolis Motor Speedway have been won from a starting position OUTSIDE OF THE TOP-20? 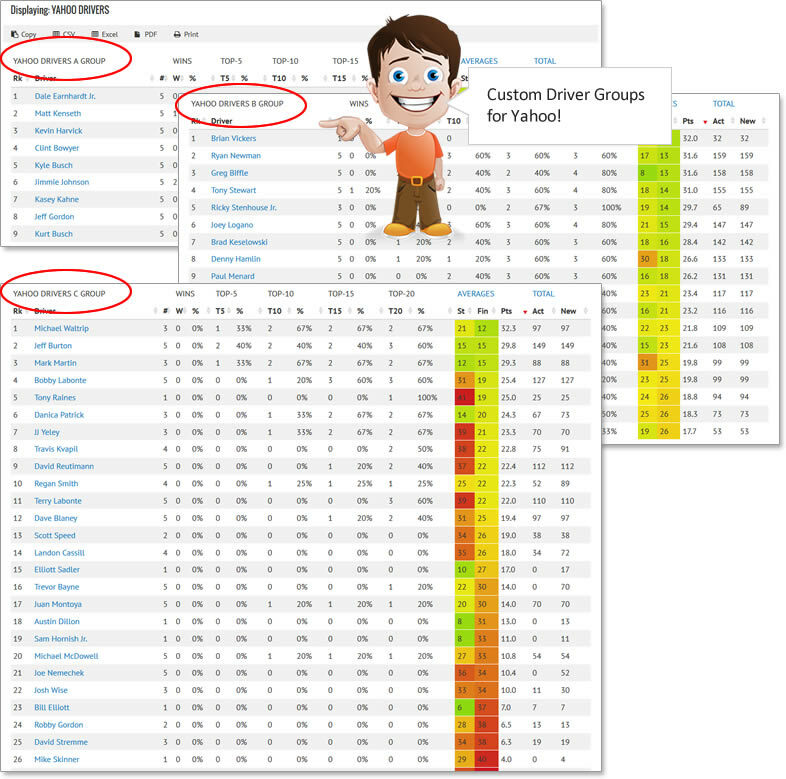 Compare NASCAR Cup Series drivers and their starting positions for each race at Indianapolis Motor Speedway since the 2011 NASCAR season. Look for trends that may reveal that a driver is consistent in performance at Indianapolis Motor Speedway or whether hit-or-miss.